To dub or not to dub? 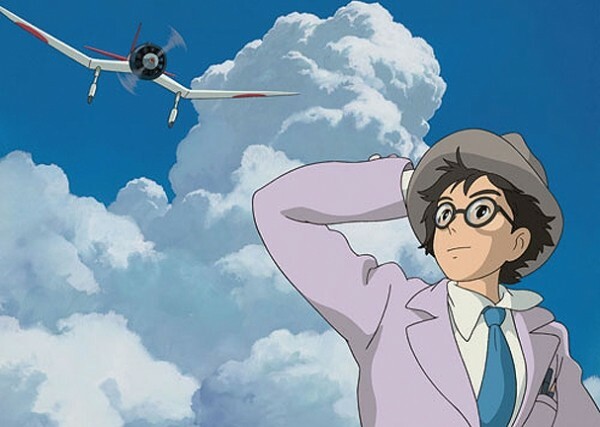 It wasn’t really a question for Disney in its plans for releasing Hayao Miyazaki’s Oscar-nominated animated feature The Wind Rises. As it’s done with all the Studio Ghibli features it’s released in America, Disney has opted to bypass English subtitles and re-record the voices with English-speaking actors. But it’s worth asking—especially in this particular case—why? For one thing, this is far more obviously an adult-skewing story than Miyazaki’s previous, more fanciful features like Howl’s Moving Castle and My Neighbor Totoro. It’s a historical drama based on the life of Jiro Horikoshi (Joseph Gordon-Levitt), the aeronautical engineer who designed many of Japan’s World War II-era aircraft. It follows Jiro from his childhood fascination with flying through an experience rescuing a young girl and her nanny from the massive 1923 Kanto earthquake, and includes some disturbing war images and even a suggestion of marital bed activity when Jiro later marries that girl he rescued, Nahoko (Emily Blunt). This PG-13 story isn’t really one where you should worry about whether kids can keep up with the subtitles. Yet the English voices can help an English-speaking audience more easily appreciate the magnificence of Miyazaki’s artistry—the ripple of a gust of wind across the water, or the shift in light as a storm approaches. There were details I didn’t catch while watching the subtitled version, like a street lamp attracting a swarm of moths. It’s a breathtaking, quietly observed work, with a story that addresses the challenging question of great creations being used for acts of destruction. So perhaps it’s a bit distracting hearing the German dissident who warns Jiro of rising militarism turn into the voice of Werner Herzog, or Martin Short as Jiro’s high-strung boss. But the English voices do nothing to diminish the beauty of Miyazaki’s visual work. If anything, maybe they make it just a little bit easier to take it all in.